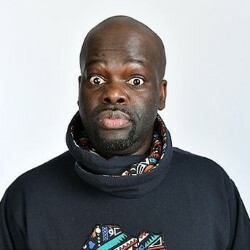 Daliso shot to fame on Britain's Got Talent and has gone on to amass over 100 million YouTube views, write and star in his critically acclaimed Radio 4 show Citizen of Nowhere, and appear on The Apprentice: You're Fired, News Quiz and The Now Show. In his hilarious, daring new show, Daliso looks at disgraced, blacklisted celebrities and historical figures we're ashamed we once admired. There's also the small matter of family member arrests, exploding buildings in his home country and the enterprising Malawian who tried to blackmail him.